The site is located 25 km northeast of Zarqa, 55 km northwest of Azraq and about 18 km from the nearest point (to the northwest) of the Via Nova Trajana. It comprises a conglomerate of separate and widely spaced units that include a qasr (castle), a mosque, a huge reservoir, and eight cisterns. The site also includes an irregularly shaped agricultural enclosure, with an elaborate system of sluices and a cluster of poorly built houses that extends to the northwest of the reservoir. 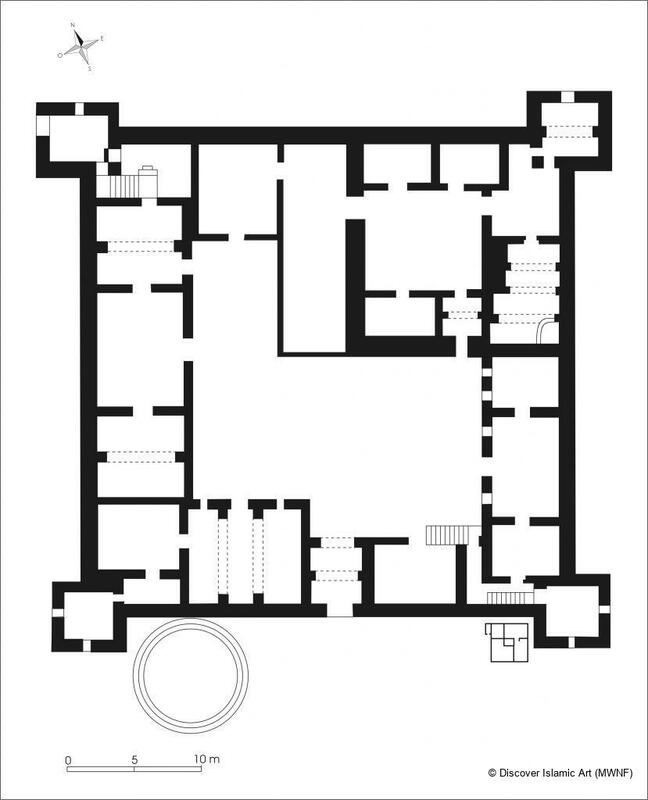 The plan of the castle is square, each side being 44 m in length, with square corner towers and a single entrance in the middle of the eastern wall. Built of dressed blocks of basalt and limestone, the castle has a central courtyard paved with flagstones that is surrounded on three sides by a series of oblong and nearly square rooms. 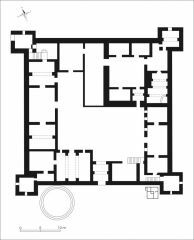 The northwestern quadrant is occupied by a structure that also consists of a central courtyard surrounded by a number of rooms. 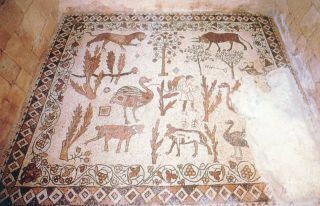 This quadrant, which is set apart from the rest of the castle, may have been used for domestic chores, including grape pressing. 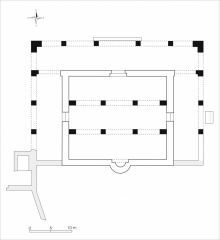 Excavations and clearance work inside the castle uncovered a total of 146 Greek inscriptions as well as two others in Nabataean and one in Safaitic, all engraved on regularly cut basalt stones. The Greek inscribed stones belong to an edict issued by the Byzantine Emperor Anastasius (AD 491–518) for the administrative and economic re-organisation of Provincia Arabia. These inscribed stones were apparently brought from a nearby settlement, possibly Umm al-Jimal , and re-used as building material during the Umayyad reconstruction of the castle; in the course of this reconstruction, the castle was elaborately decorated with carved stucco, frescoes and coloured mosaics, and was thus transformed from a fortified building into a palatial residence. 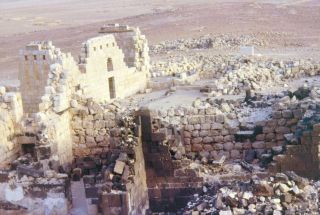 Qasr al-Hallabat is located 25 km northeast of Zarqa. 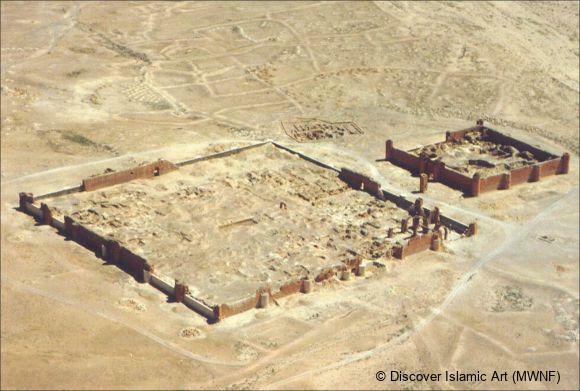 The site includes a qasr (castle), a mosque, water installations and an agricultural enclosure. The qasr is built of basalt and limestone blocks, including 146 basalt stones that bear Greek inscriptions from an edict issued by Emperor Anastasius (AD 491–518) for the re-organisation of Provincia Arabia. 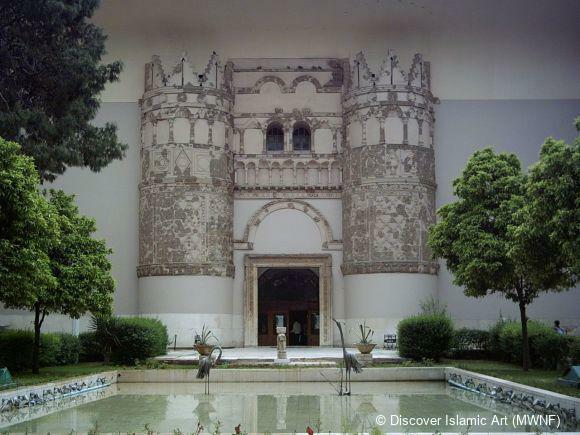 These were re-used during the Umayyad reconstruction when the castle was decorated with carved stucco, frescoes and mosaics, thus transforming it into a palatial residence. Pottery lamps and vessels, especially the ubiquitous red-on-cream ware, point to an Umayyad date. 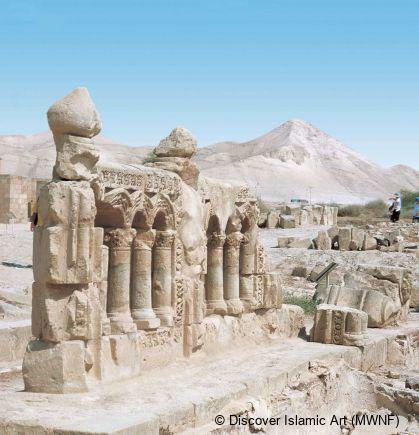 Likewise, the use of carved stucco as a medium of decoration which became increasingly popular from about AH 106/ AD 725, as well as the construction of an extra-mural mosque with cusped arches, all of which point to the same conclusion. 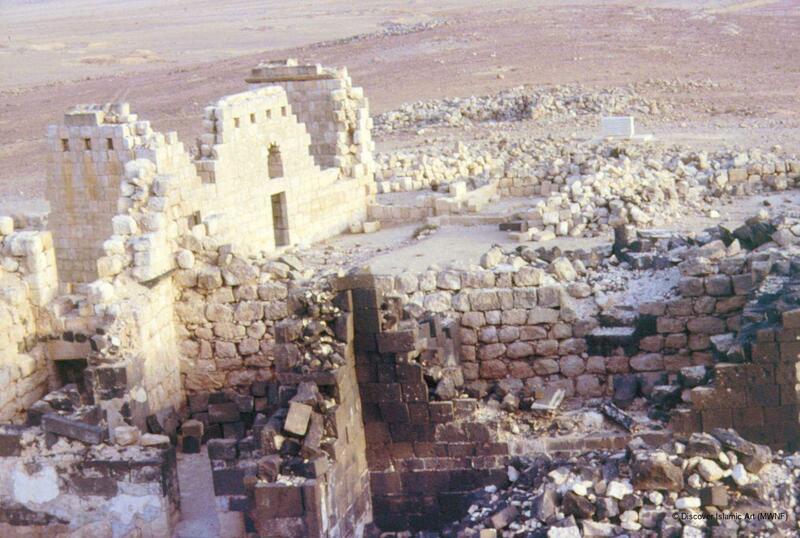 Bisheh, G., “Qasr al-Hallabat: A Summary of the 1984 and 1985 Excavations”, Archive fur Orient Forschung,33, 1986, pp.158–62. Bisheh, G., “From Castellum to Palatium: Umayyad Mosaic Pavements from Qasr al-Hallabat in Jordan”, Muqarnas, X, 1993, pp.49–56. 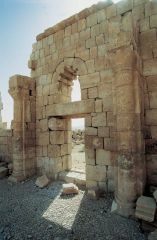 Butler, H. C., Publications of the Princeton University Archaeological Expeditions to Syria in 1904–5 and 1909, Leiden, 1907–21, division III, section A: pp.21–42 (Greek and Latin Inscriptions). Kennedy, D. L., “ArchaeologicalExplorations on the Roman Frontier in North-East Jordan”, British Archaeological Reports, 132, Oxford, 1982, pp.17–65. 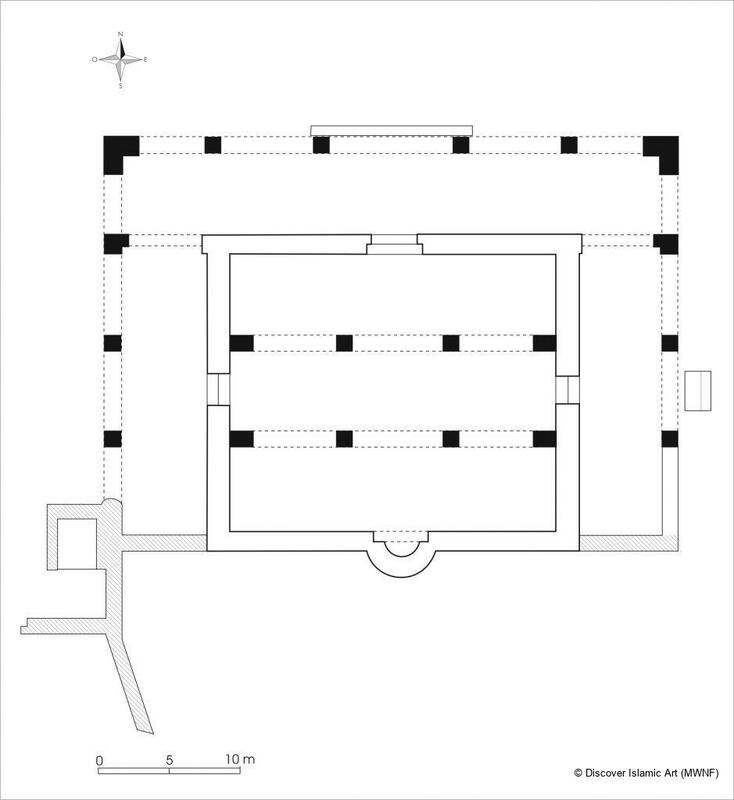 Marcillet-Jaubert, J., “Les Inscriptions Greques de Hallabat, II”, Annual of the Department of Antiquities of Jordan, 26, 1982, pp.145–58. 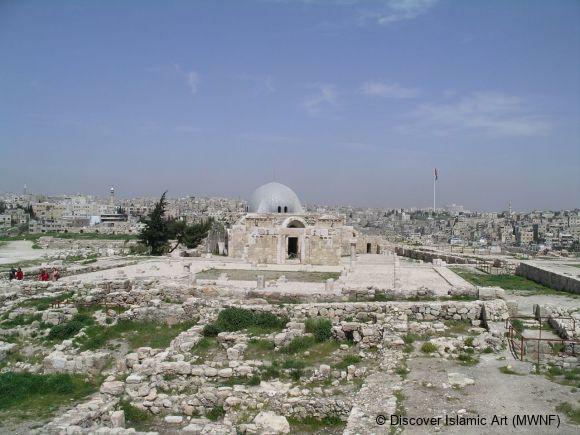 Ghazi Bisheh is an archaeologist and former Director General of the Department of Antiquities of Jordan. 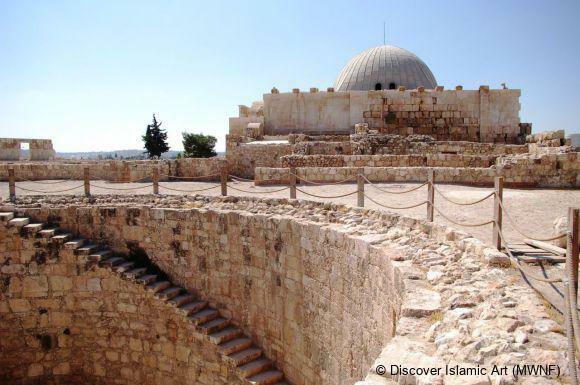 He studied archaeology at the University of Jordan, and history of Islamic art and architecture at the University of Michigan, Ann Arbor, from where he holds his Ph.D. 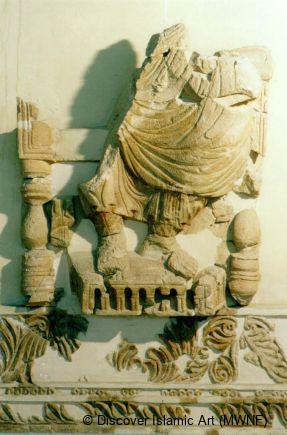 He was affiliated to the Department of Antiquities of Jordan for most of the period between 1980 and 1999, and was its Director General twice (1988–91 and 1995–9). 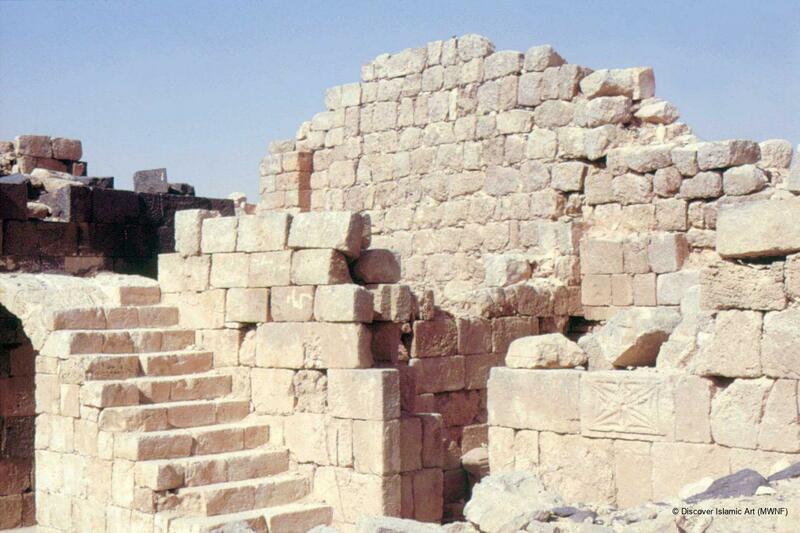 He was also an associate professor of archaeology at Yarmouk University during the early 1990s. He is the author of numerous publications, including The Umayyads: The Rise of Islamic Art (Brussels: Museum With No Frontiers, 2000), of which he is a co-author. 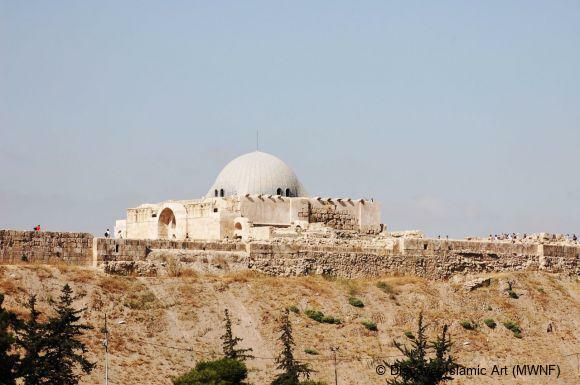 He has carried out excavation work both inside and outside Jordan in sites such as Qasr al-Hallabat, Madaba, Carthage and Bahrain. He is a member of the German Archaeological Institute and is the Deputy Director of the International Council of Museums for the Arab countries.